Rainy days in the summer can spell disaster for parents without a plan for fun. 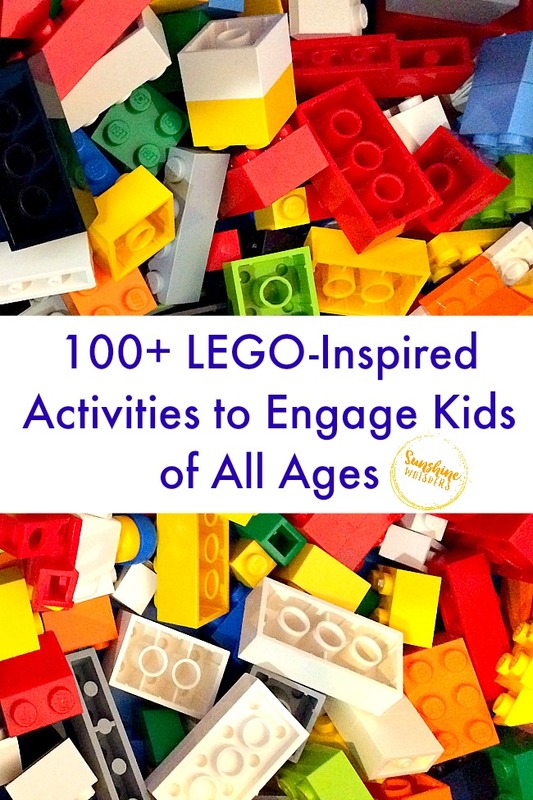 On this rainy summer day, I decided to pull out our tubs of LEGO bricks and see what fun activities we could engage in. We are pretty much LEGO novices, so I wasn’t quite sure how it would go. 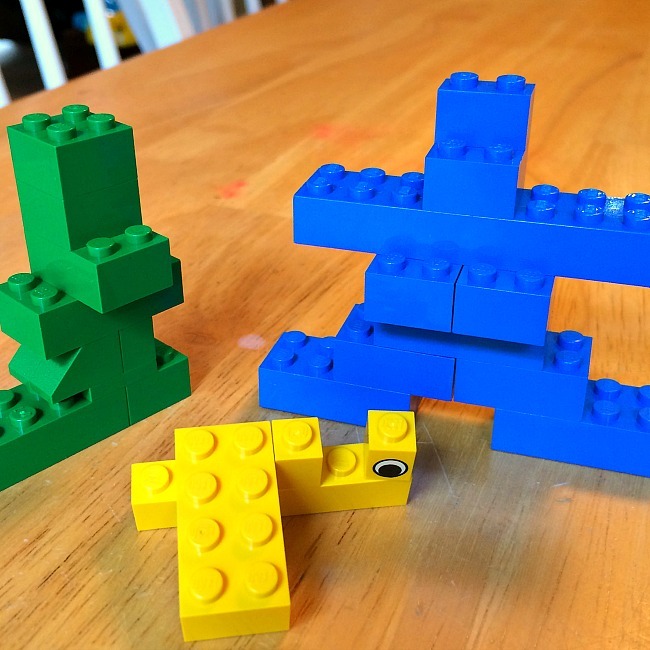 For the next few hours, my 3-year old daughter and I sat on the kitchen floor and played games, practiced counting and sorting, created monsters and robots, and even made some LEGO-inspired art! Before we knew it, 3 hours had passed and we were still having a blast. 3 hours! That is an eternity in preschooler time. How in the world did a few tubs of LEGO bricks keep us going for so long? 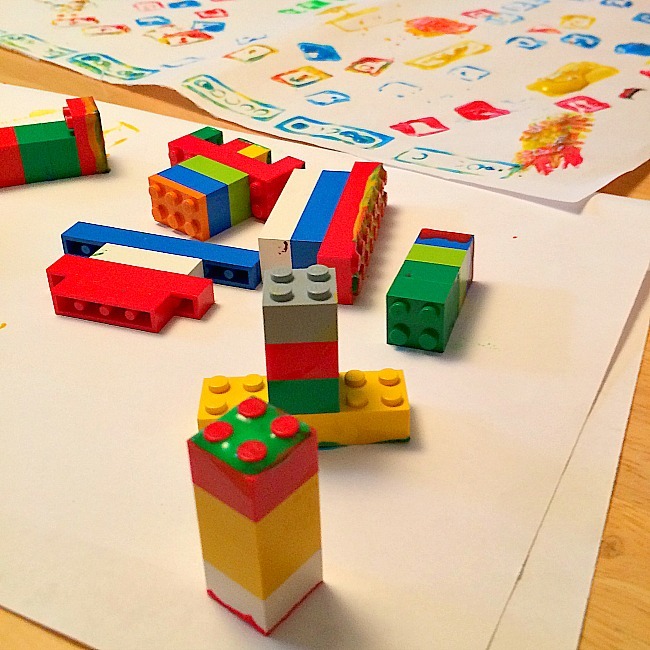 Why was my 3-year old daughter engaged in numerous LEGO-inspired activities for so long? Well, I snagged a copy of this fantastic new book that you will immediately want to add to your personal library. 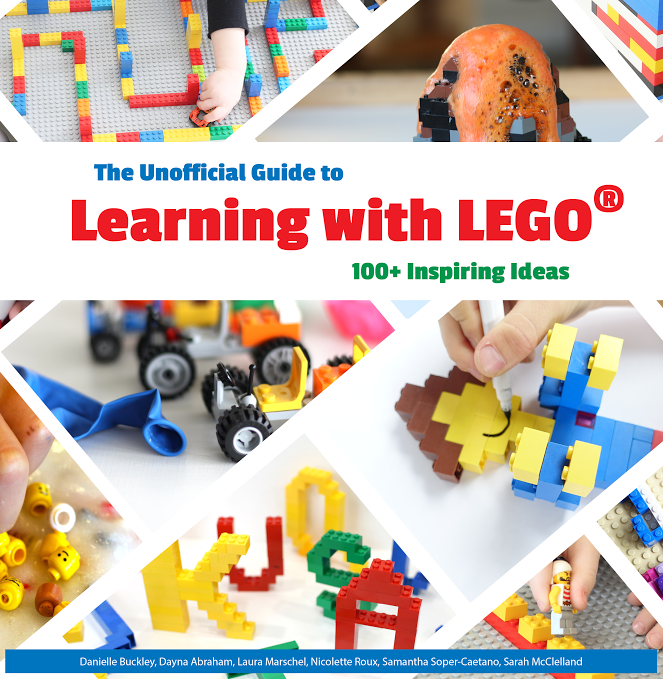 Inside there are over 100 LEGO-Inspired Activities that would be fun for kids of all ages. Many of the activities involve an educational aspect like reading, math, or science. Most of the activities are just so much fun! Building with LEGO bricks is fun on its own. However, the activities in this book really take it to the next level. One of the things I really loved about this book is that many of these activities are actually really easy to set up and do as well. 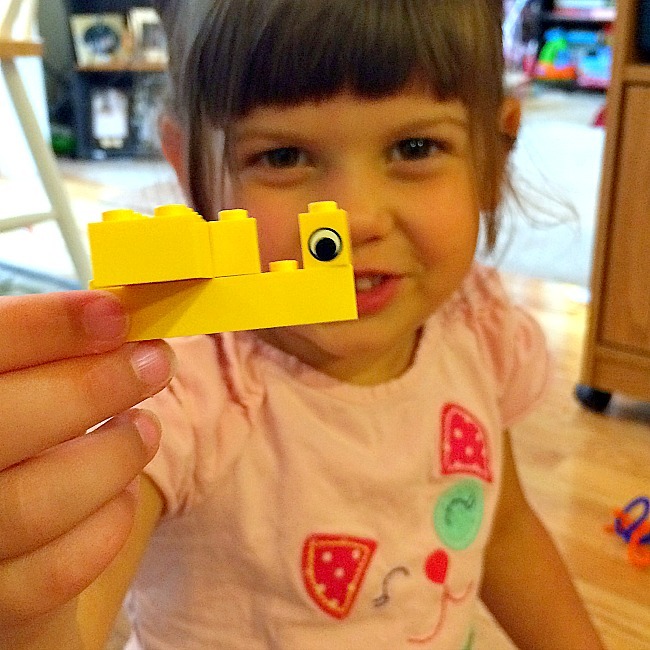 We really are LEGO novices, but I have been wanting to introduce more building play activities to our daughter. This book was perfect. Honestly, you don’t need anything special, as long as you have some sort of LEGO bricks (or another version of LEGO bricks). Here are some of the activities from the book that we tried this morning. 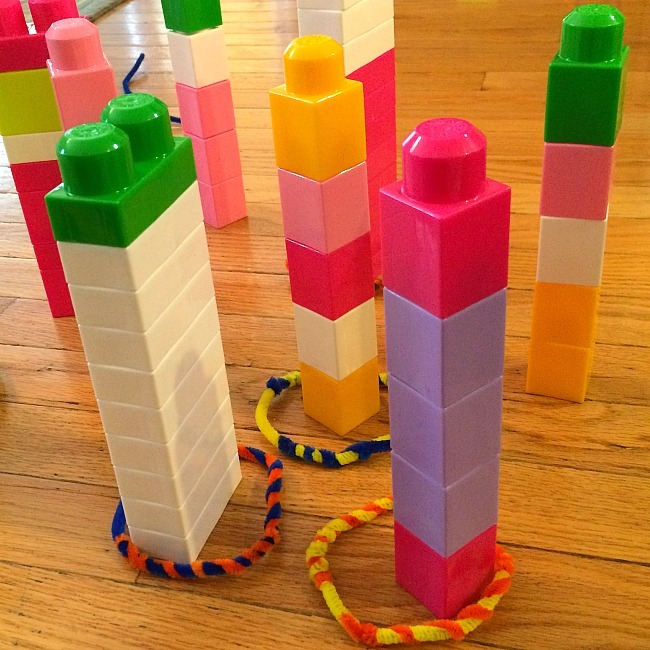 DUPLO Tower Ring Toss— We made two types of towers. I called them easy and advanced. We fashioned rings from pipe cleaners. Fine Motor Transfer— You can use something as basic as a spoon. We used children’s tweezers and these fun scoops. We combined this fun activity with the next one. 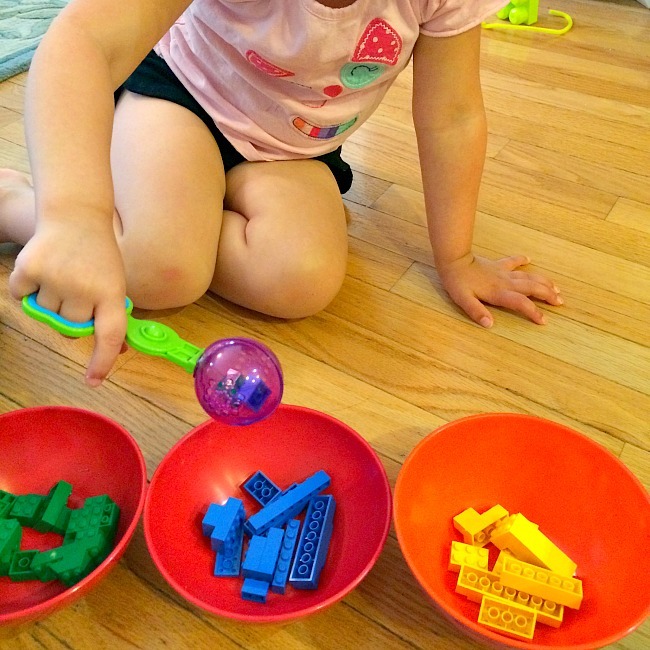 Color Sort and Build— I had my daughter use the scoop to grab green, blue and yellow LEGO bricks. We sorted them into three bowls. Then I challenged her to build her own robot or monster. I built one too just for fun (guess which one is mine). She called her yellow monster a ‘lauber.’ I have no idea what that is, but I was pretty excited she was using her imagination. 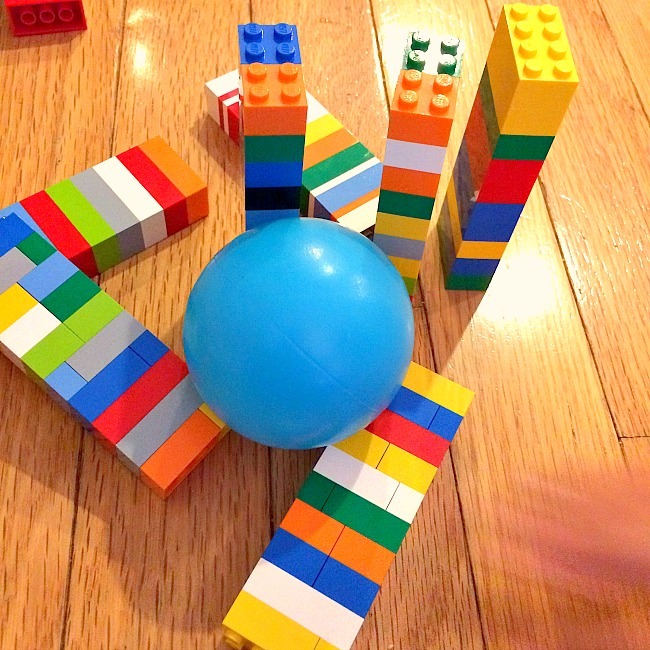 Bowling with LEGO pins— By this time, my daughter was fully engrossed in scooping and sorting LEGO bricks. So, I challenged her to help me build nine towers of the same height. We did pretty good. Anyhow, I set up our newly fashioned bowling pins and we had a great time trying to knock them over with a few small balls. LEGO Stamp Painting— We ended our morning LEGO-inspired marathon with a little craft session. My daughter helped me create various sizes of LEGO stamps, I squirted some Tempura paint onto a paper plate, and she created a nice LEGO mural. Nothing special.. except the fact that we did it together, and she had fun mixing colors and being creative. So, I guess it was pretty special after all! Click here (or the picture below) to order it in eBook format. Click here to order a physical copy through Amazon. 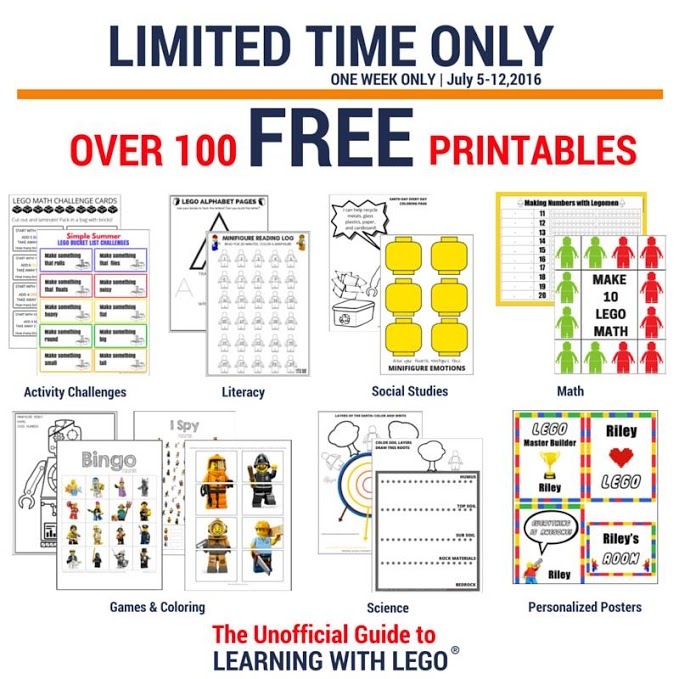 For a very limited time, when you order the eBook, you get access to over 100 free LEGO-inspired printables! How cool is that? Legos never get old! 42 years ago when you were a toddler, you loved them then…and now, obviously!